이 어플리케이션은 초심에서 고급영어까지 학습자를 위한 도움을 주는 프로그램입니다. 이 컨텐츠는 비지니스 영어를 중심으로 편성되어 있습니다. 아이앱소프트에서 제작했으며 유명한 Business English Podcast 를 편리하게 이용할 수 있도록 해줍니다. 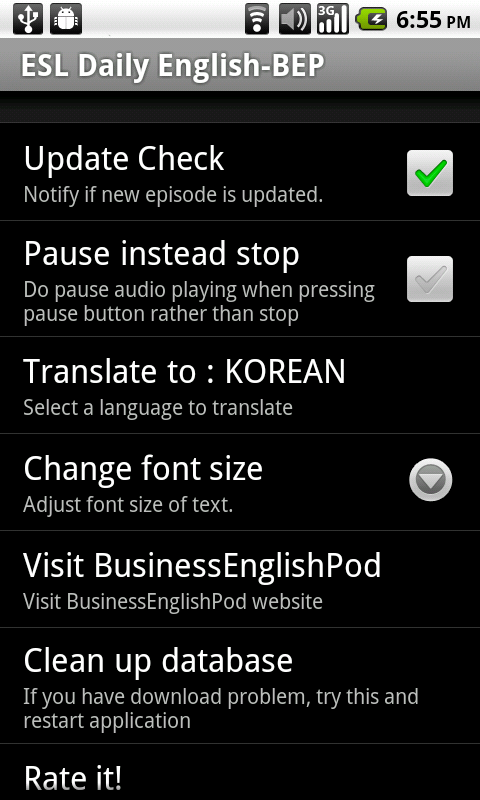 당사는 Business English Podcast 와는 직접적인 관련이 없습니다. mp3 다운로드를 3G 상태에서 하는것은 해당 통신사에 따라서 과금이 발생할 수 있습니다; WIFI 연결을 이용하는것을 대부분의 경우 권장합니다. Business English Pod에서 직접적인 지원을 받거나 공식어플이 아닙니다. 기술적인 문의사항은 아이앱소프트로 해주시기 바랍니다.. 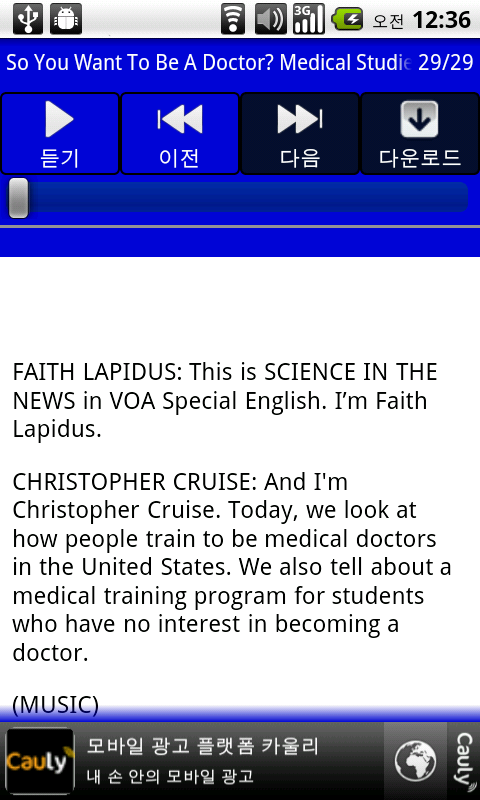 This is a an helper application for beginner to intermediate to advanced English learners. 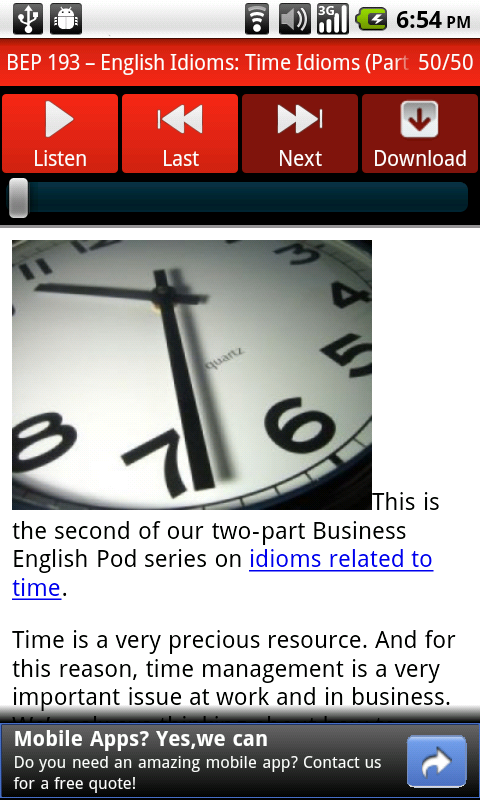 This independent application has been made by ImApp Soft, who is a fan of the very popular podcast for English learners, Business English Podcast at businessenglishpod.com. Downloading mp3s on 3G can be costly depending on your provider; using WIFI connection would be preferable in most cases. 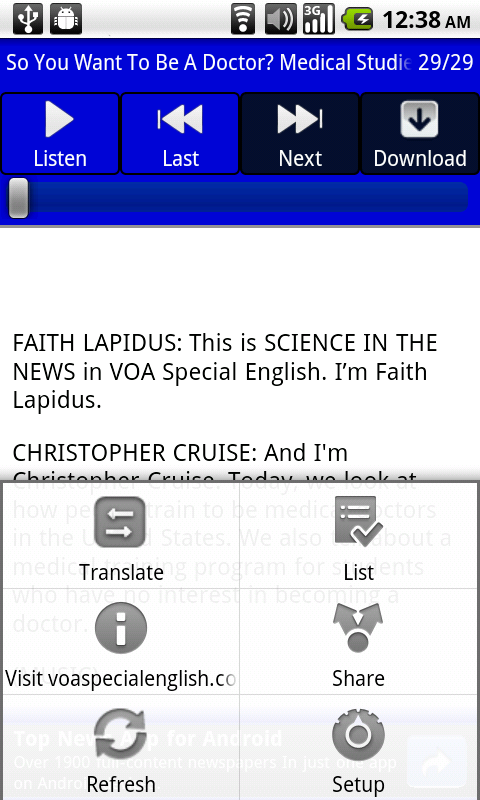 This app is not endorsed or sponsored Business English Podcast. If you have technical questions about the app, please contact ImApp Soft. 영어 초중급자를 위한 영어학습 도우미 어플입니다. 초중급자들에게 아주 인기가 많은 VOA Special English podcast 를 편리하게 이용하실 수 있습니다. This is an helper application for beginner to intermediate English learners. 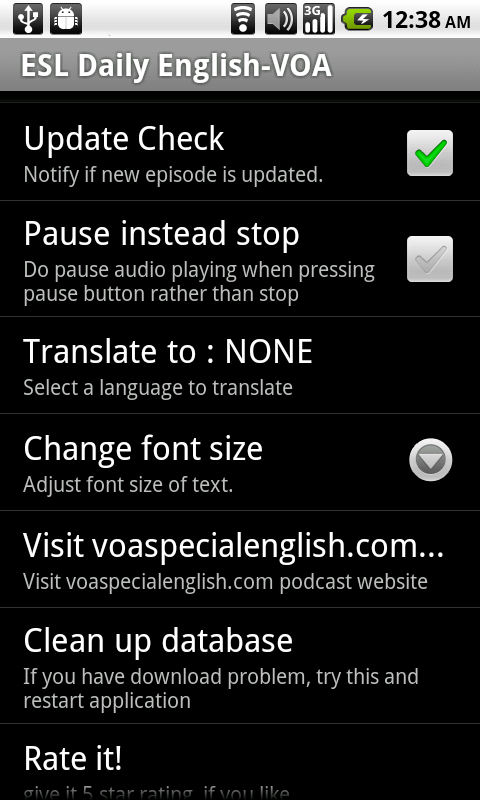 It made easy use very popular podcast, VOA Special English podcast.